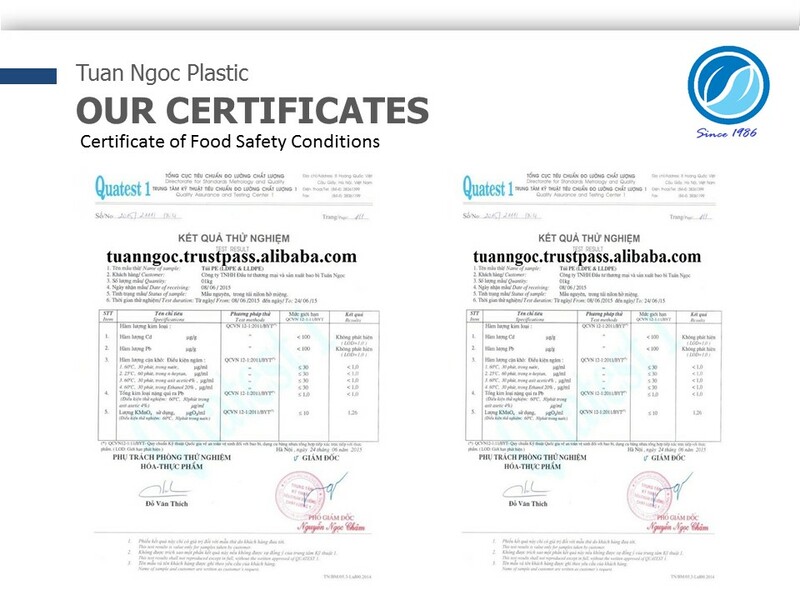 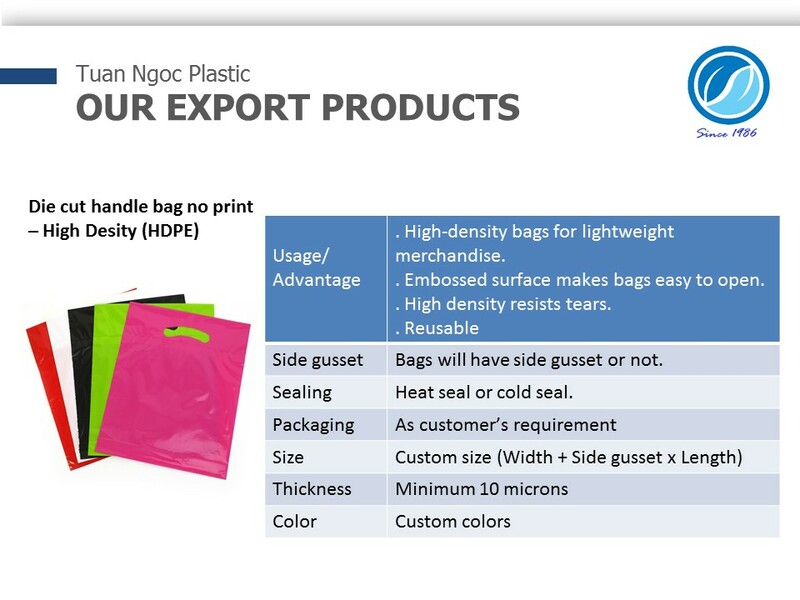 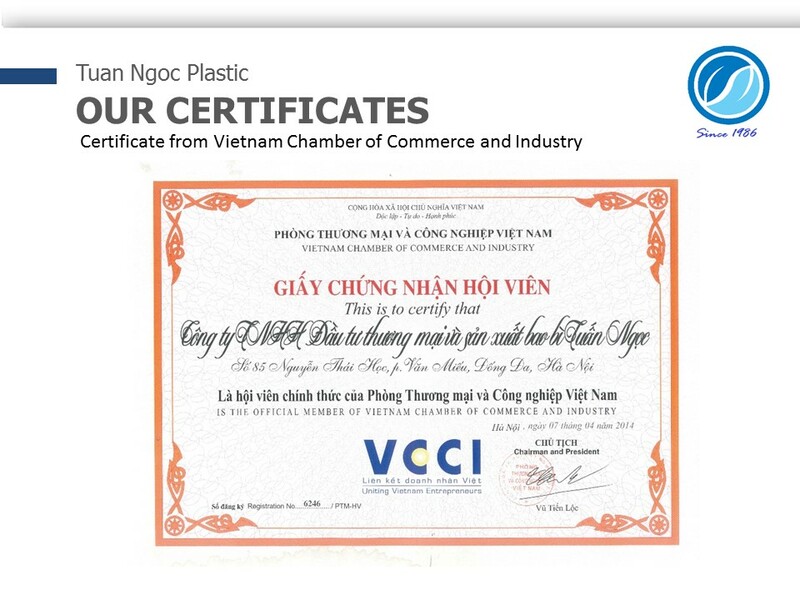 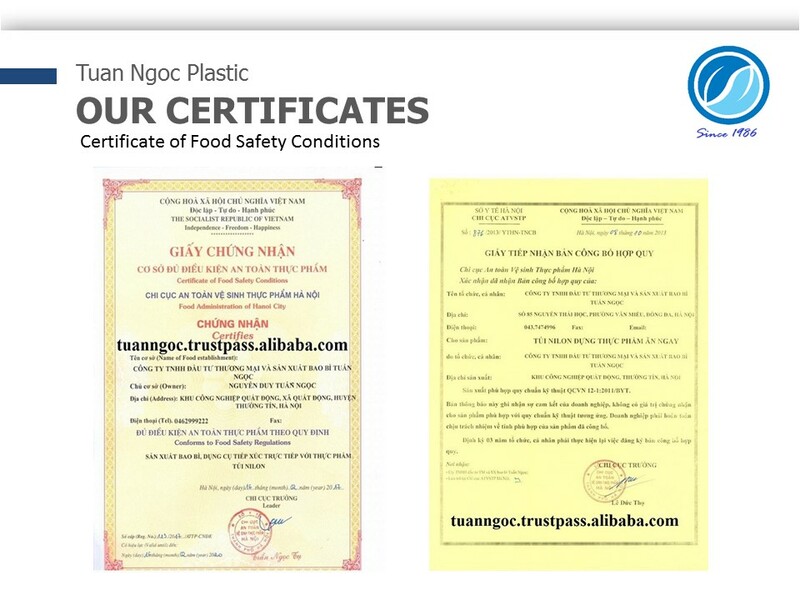 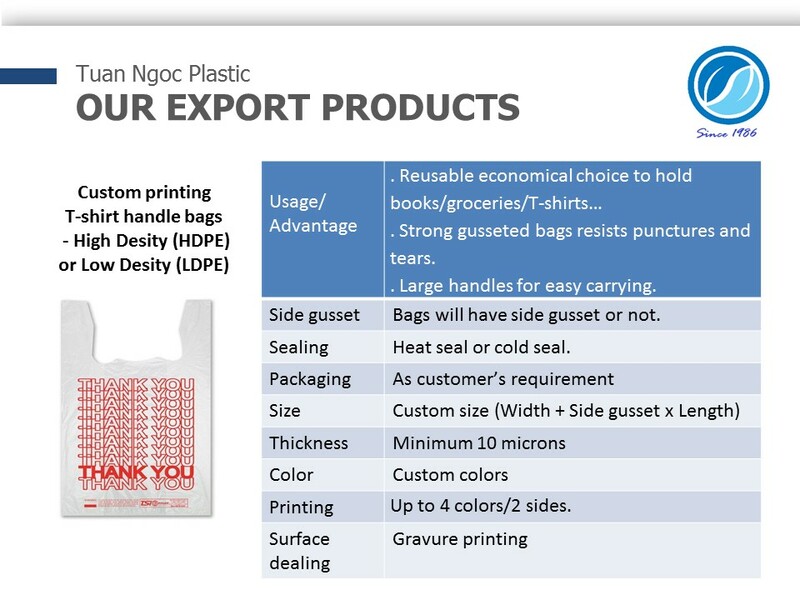 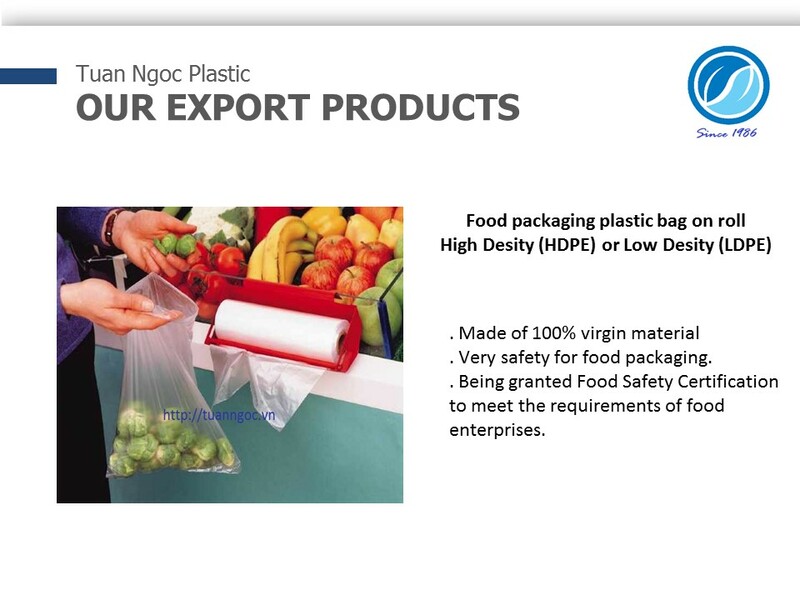 Tuan Ngoc Plastics Packaging Production and Trade Investment Co.,Ltd (Tuan ngoc Plastics Co.,Ltd) is located in Hanoi City, Vietnam. 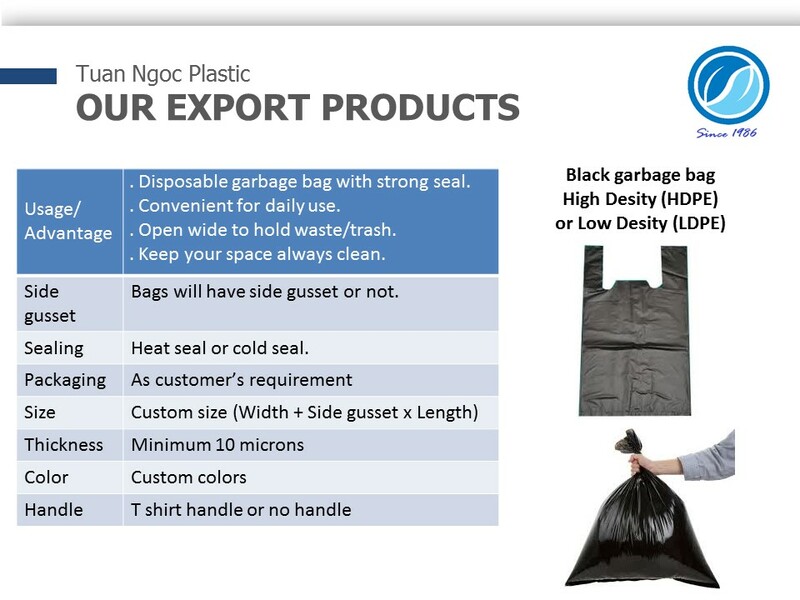 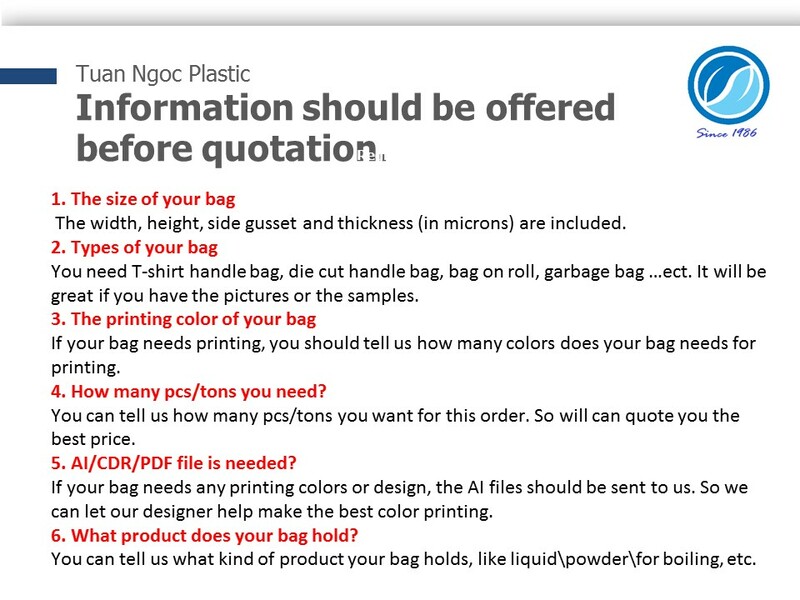 We are specialized in producing many types of plastic bags such as T-shirt bags, Bags on roll, Bread bags, garbage bags… With an experienced and professional team, we have exported our products to many countries and regions all over the world: Germany, USA, Turkey and Japan especially. 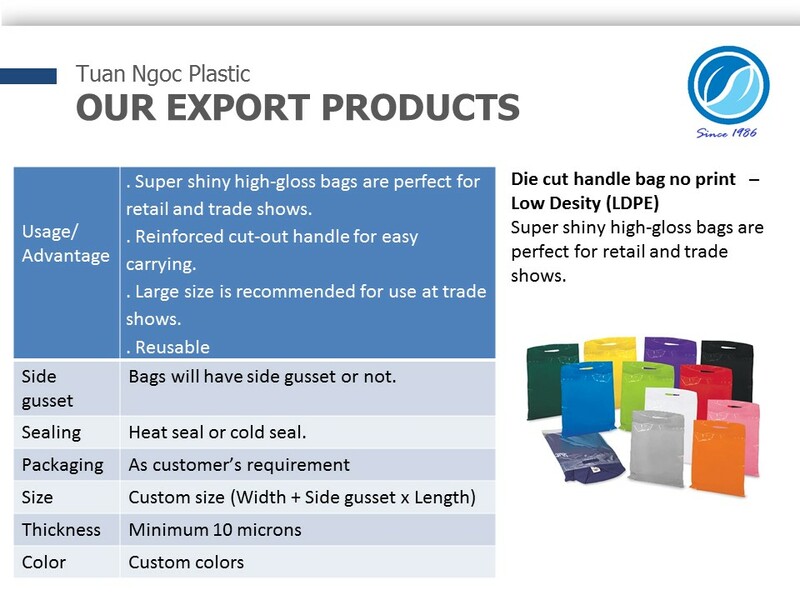 We are ready to bring you high quality of each products and best price.